It appears that lightning can strike twice. On October 1st, 2010 I received notification that I had been awarded Microsoft MVP status. This year at the 2019 Microsoft MVP Global Summit Week, I was again humbled to receive additional recognition. In the first ever awards session for Business Applications MVPs I was recognized as the MVP of the Year in the Dynamics 365 category. Worldwide, across the board there are 185 Business Application MVPs. Awards were also made to contributors in the PowerApps Category. It’s amazing to receive this honor and recognition for evangelizing products that I have fun playing with in my spare time when I am not helping clients. 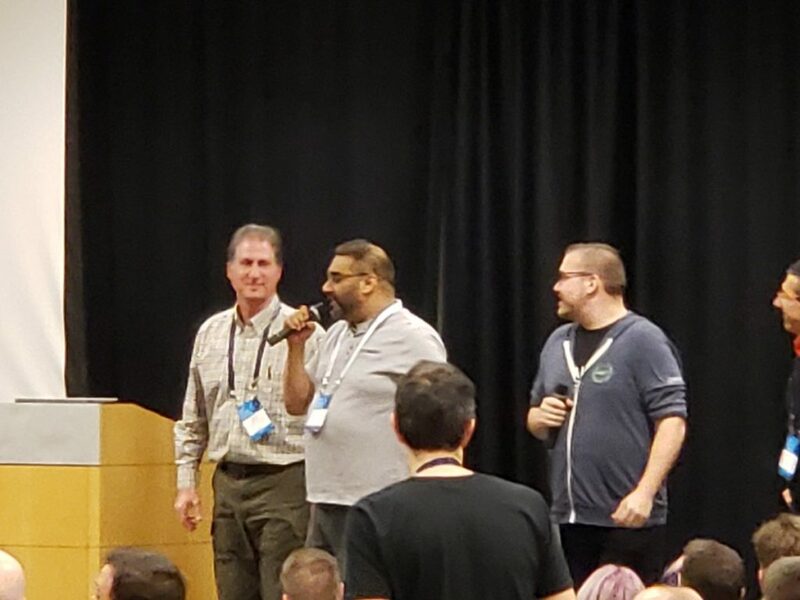 I am on stage with two of the Business Application Community Managers – Purvin Patel and Jon Levesque.